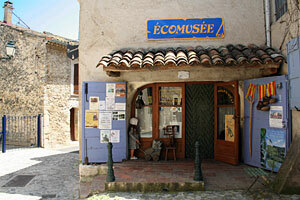 The village of Esparron is perched at the entrance to the lower canyons of Verdon. 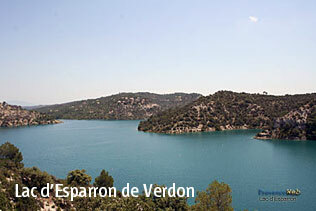 At the foot of the village sparkle the turquoise waters of Lake Esparron. 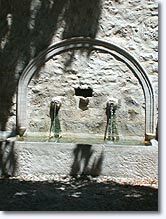 The banks of the lake are formed of inlets, cliffs, and forest. Every posssible water sport is available to the delight of big and small. 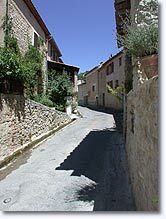 All around Esparron the unspoilt countryside calls to be discovered: the vast plateaus, fields of lavender, and of course the deep canyons of Verdon. 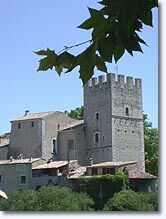 Esparron castle and its 10th c. tower. 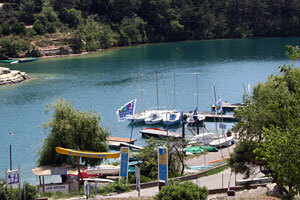 Club Nautique (water sports club) from Easter to October (sailing, windsurfing, rowing). Rentals: pedal boats, canoes, electric motorboats.